The Ben Harper ‚Black Lap’ is an instrument of extraordinary class. It is the twin of the instrument which has been built by Rob Mondell for Mr Harper. 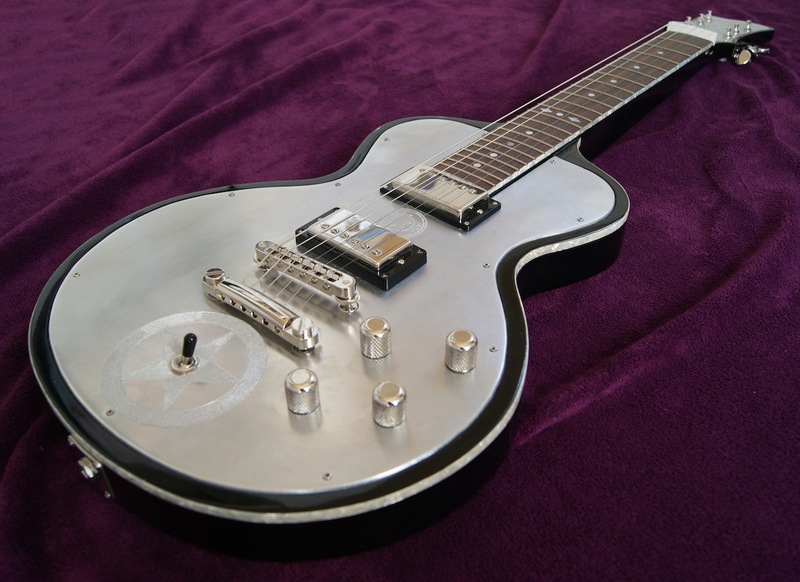 Rob Mondell has custom built this Lap Steel to the exact spec’s as Ben Harper’s instrument. The humbucker pickups are Seymour Duncan Custom Wired 59’s. Both are splitable to single coil by pulling up the volume knobs. The metal plate itself was a left over from when Rob Mondell the Black Lap for Ben Harper. 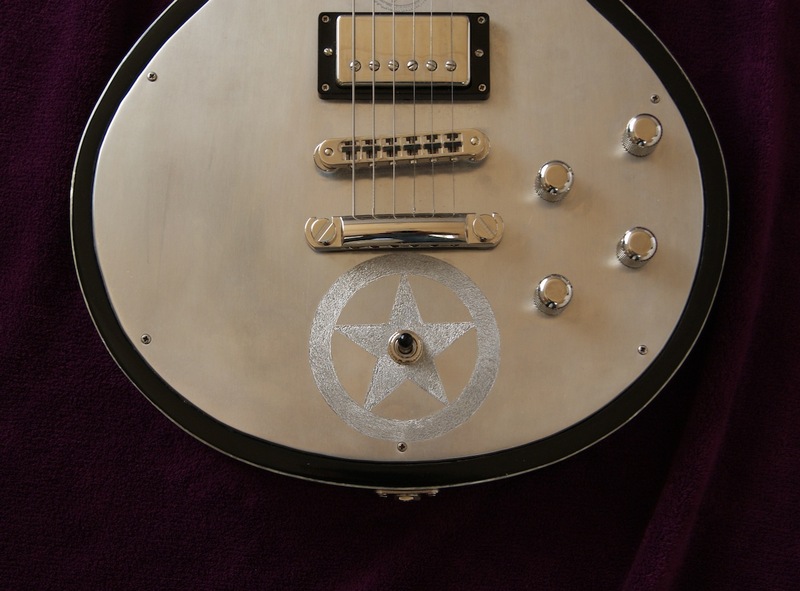 The plate is finished in a matte patina & hand engraved as Ben Harper’s. 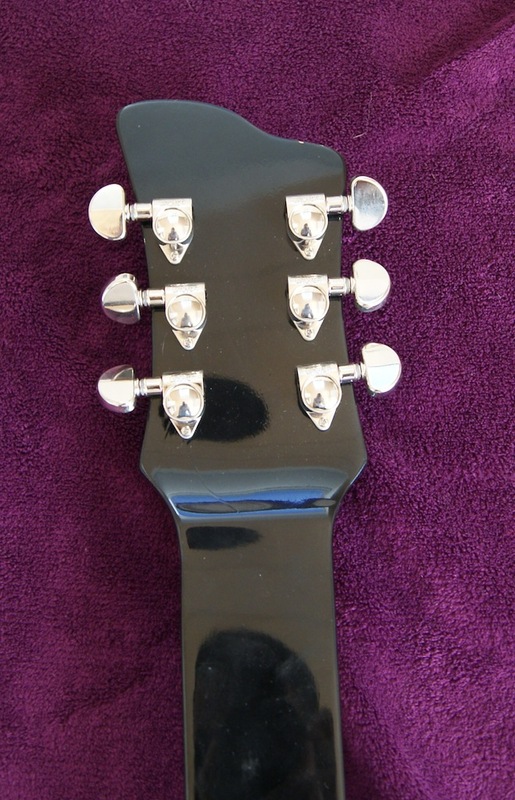 The Body & Neck are Honduran Mahogany with Rosewood Fretboard. 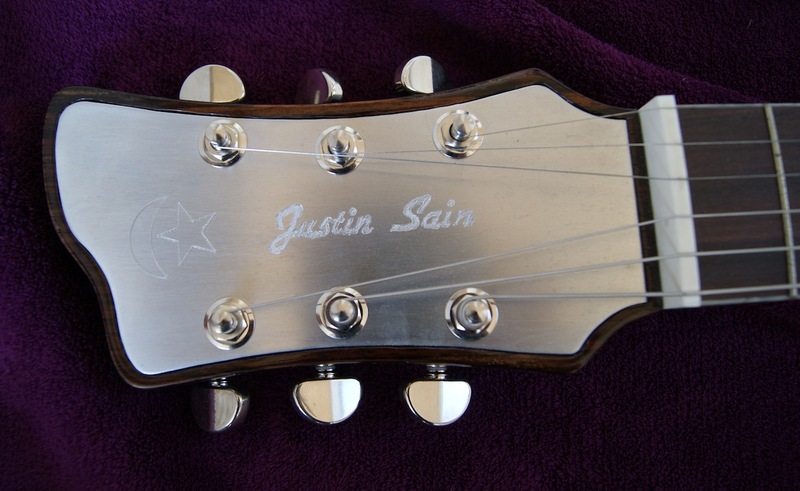 Body & Neck are bound in cellulose pearl & finished in a ultra thin laquer so the wood can breathe & vibrate most fully. Original Hardcase included. The instrument has some signs of stage-usage, but is in excellent condition. Here you can find pictures of the Black Lap’s construction process. 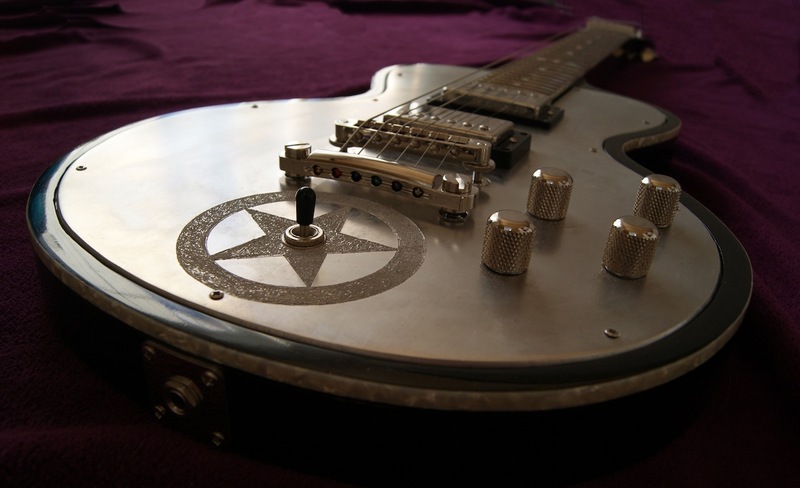 'The pickups in Rob’s guitars are Duncan ’59s that are wired for standard humbucker and split coils. 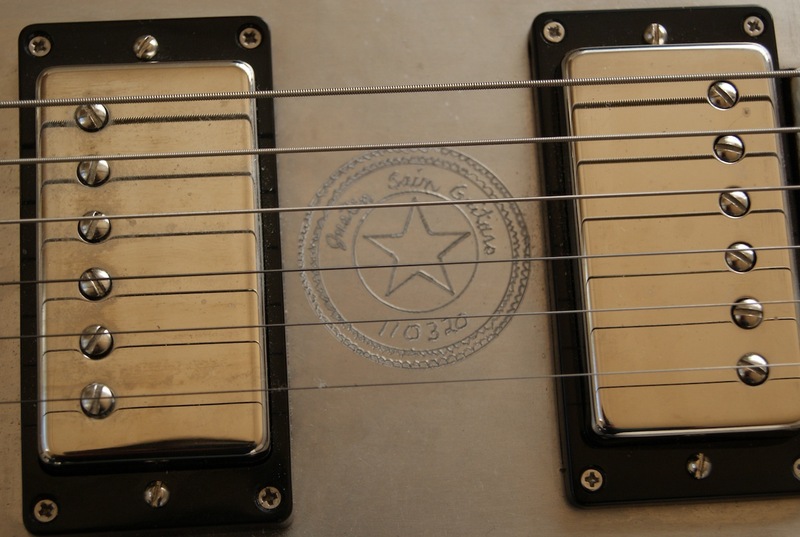 For me, what’s amazing about these pickups is that you can split them to single-coil. Splitting the neck pickup is key because you get into very reverberant rooms where low end takes off and neck pickups naturally have a lot of low end resonance. The ability to split them to single-coil cuts down the low resonant frequency without you having to go to your bridge pickup. It allows you to still use both and get a rich sound without clashing with the bass. So it’s like having four or five guitars in one, being able to split each pickup in different patterns. These pickups are really kickin’ for all my electric stuff. They’re just putting out like none other. The better the guitar sounds, the better you’re going to be playing it, period.